Mobile app development in Toronto, Guelph, Kitchener, and London is our bread and butter. Got a great idea for a new app? We can help make your ideas become reality. An App (short for “application”) is a program that runs on various smart devices. It is much more “sticky” than a website, (as a website URL can be lost) and remains on the device to which it is downloaded. Furthermore, it does not require internet connectivity to run. It also makes available the built-in functionality of the operating system on which it runs which typically far exceeds the capabilities of a mobile site. It reacts quickly to user input on their smart devices. Its disadvantages are that there is no place to go to access it publicly, although many developers create a standard website to complement it. We have vast experience with application development and we have developed many Android and IOS Applications, which are currently available in the iTunes and Play store. 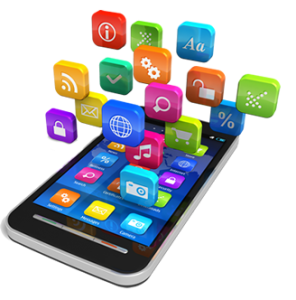 We can develop both native and hybrid mobile applications. App development can be a great engine for your sales force and are an effective way to display materials intuitively and in a graphically appealing format. They can be used to control manufacturing processes, give tutorials, and provide additional tools to drive your enterprise. We can develop apps for iPhone/iPad and Android or other platforms as needed. To develop your application, Visual Thinkers has a large and diverse team. Some of our team members include a mobile interface specialist, programmer, quality assurance specialists and database developers. Please come and visit our App Portfolio!